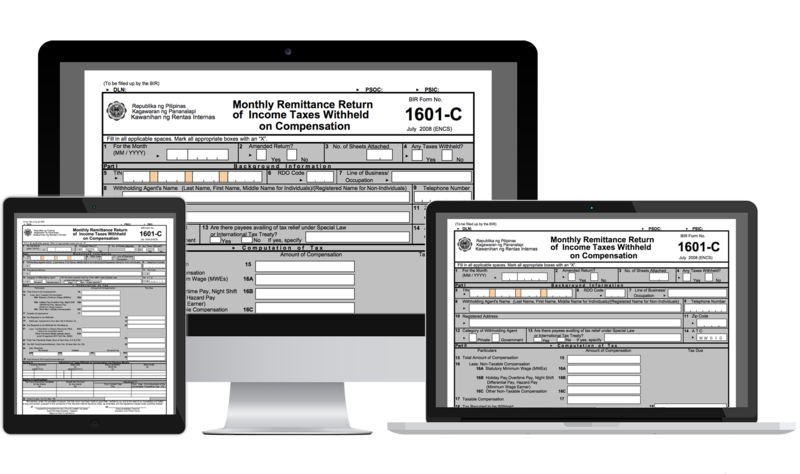 Form 1601-C or Monthly Remittance Return of Income Taxes Withheld on Compensation is filed by a Withholding Agent who deducts and withhold taxes on compensation paid to employees. For the months of January to November – on or before the 10th day of the following month. For the month of December – on or before the 15th day of the following month.